Storage for construction equipment isn’t easy. Lugging material and machinery to and from various job sites is usually impractical but storing equipment at the sites can also create issues. You want a local storage container company to provide strong, durable units for your job site. You need A.B. Richards. A.B. Richards rents portable storage containers that you’ll feel comfortable using at any construction site. If you’re working at a residential lot and need to fit the unit on a smaller lot, our 20ft storage containers are ideal. If you are bringing a large amount of equipment to the job and need a larger unit, try our 40ft storage containers. If you need a bit more room or need to store awkwardly shaped materials, the 40ft jumbo containers have an extra foot of headroom. A.B. Richards can make storage at a construction site easy and we want to give you other ways to make the most of construction storage. 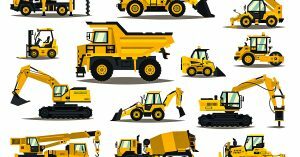 If you’re storing construction equipment, you need to make certain that all of the machinery is turned off at the end of the day, according to the construction industry blog Lift and Access. Another important factor is to keep your items secure. Very often companies are leaving their machinery and materials unattended. It’s a good idea to keep your storage unit in a well-lit area. If you’re able to post security cameras nearby, that’s a good idea too. A.B. Richards will provide you with storage containers made of sturdy 14-gauge steel. They’re also weatherproof and we’ll provide you with a high quality lock. Our units also have strong 1-3/8-inch hardwood floors. One thing to keep in mind when storing your construction materials at a job site is that sites are regulated by the Occupational Safety and Health Administration (OSHA). According to the website Bizfluent, there are regulations which regulate who can or can not operate heavy equipment. Heavy equipment needs to be inspected and up to date. When storing heavy equipment, OSHA requires that in addition to being in the off position they must be safeguarded. This means that potentially dangerous elements of the machinery such as blades must be covered up. Mobile equipment must have the brakes in the locked position and concrete buckets must have safety latches to prevent them from spilling. If you’re a contractor who needs a secure place for your machinery and materials at a job site, A.B. Richards can help you make things run smoothly. You’ll have everything where you need it and you’ll get the work done faster. We’ll deliver your containers to wherever you’ll need and we’ll pick them up too. Contact A.B. Richards today.